For the past 30 years, I have been calling for the adoption of an international definition of terrorism. I have done and continue to do so against all odds, and in contradiction to the most commonly-held position of counter-terrorism experts, scholars, legal experts, decision makers and lay leaders. 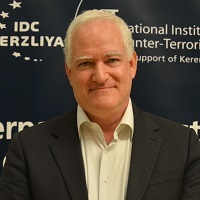 I do so because I genuinely believe that defining terrorism is both crucial and possible, and because I believe that once terrorism has been consensually defined, that definition will become a pillar of much better and more effective international cooperation on counter- terrorism. At the recent ICT 13th International Conference: World Summit on Counter-Terrorism, I participated in a workshop addressing this issue. Without exception, my friends and colleagues on the panel pleaded against an effort to define terrorism. I am herewith attaching a video of my closing remarks, which in my view represent the pick of the crop of my tireless efforts to persuade the world of the need to adopt an international definition of terrorism. Defining Terrorism - Is One Man’s Terrorist Another Man’s Freedom Fighter?